See an overview of each weeks class topics. INTRO TO INSECTS AND THEIR KIN, and hands-on use of insect collection to identify insects to Order. Thank you all so much for the positive and energetic start you gave to our first Insect class Tuesday. We are looking forward to the semester! First Class: Sue Kistenmacher did a great job explaining what makes Insects different than other animal classes, and introducing us to many of the wondrous Orders of Insects in Maine. Homework (Never required, but usually fun! ): You were given a small assignment for next Tuesday. It is attached here in case you missed it. Gaby Howard will bring in some new combs if that is how you want to make your species’ sound. No fear, we will not ask you to give a talk about the species you are mimicking. Just tell us which species you chose and what it sounds like, before taking your seat in the orchestra. If you are inspired and you want to share a short word or two about your special musician, you may. Improvements: We hope to continually improve the class; please share your ideas. Next week we will bring in some LED lamps to make it easier to see the insect specimens. Check the wood chips from pileated woodpecker activity for ant bodies. Communication: All 5 of the co-teachers have our emails visible to you in the address portion of the emails we send our students. Feel free to contact any one of us about the class. For now all the students are in bcc. 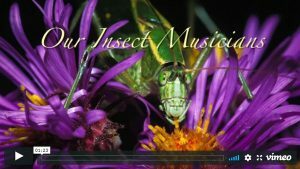 SINGING INSECTS: A Musical Communication. 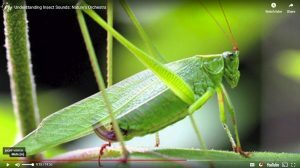 We will explore the different ways that the”singing” insects (Orthoptera) produce sound and we’ll learn to recognize different species’ “songs.” We’ll also investigate how these insects “hear.” And we’ll look at specimens up close to see these fascinating structures. Finally, we’ll create an Orthoptera orchestra! A 15 minute presentation by the two Cornell scientists on the reasons and mechanisms of insect song. This is the recording you all created (Thanks to Lisa Bailey who sent this to me after class. For me, it opened up in iTunes and played. If you can’t hear it, we’ll see if we can package it differently). Homework (never required; usually fun): No homework this week except the usual, to notice insects in your life and/or remember past encounters for our small group share time at class. I hope you are all seeing signs of spring in your neighborhoods despite the recent snow. Keep your eyes open for mourning cloak butterflies! They overwinter as adults under loose bark and will emerge any day now. Let us know when you see them! During Week 3’s class Judy and Gaby helped us think about why we might not have warm and fuzzy feelings about insects and their allies (e.g. spiders, ticks, centipedes), but also why they are essential for life as we know it…and some of their usefulness to human enterprises in silks, dyes, medicines and more. 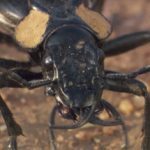 • The BBC gents re: Why Beetles are Amazing! 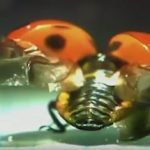 • National Geographic piece about how Ladybird Beetles fold their wings. • Gaby also suggested this report on how termites have helped people improve architecture. creating and maintaining a bee hotel. If you have a bee hotel already, bring it in to share with class. If it is inhabited, which you can tell by the tunnels being blocked off, you might leave it home as bees are starting to emerge. Last week we delved into two different topics. First half of class we explored the intertwined lives of the Tree Swallow–the first swallow to migrate back to Maine in the spring–and the Mayfly, an aquatic insect in the Order Ephemeroptera that spends two years under water and about 2 days above. We learned that aquatic insects like these are richer in nutrients that nestlings need than insects that spend no time in the water. We also explored some of the ways humans are impacting swallows and mayflies. The presentation will be up on the class website soon. Throughout it and at the end you’ll find links to the images, videos and resources I shared…in case you want to wow your friends with a radar shot of a mayfly hatch! In the second half of class we learned about the Order Hymenoptera and got into some details about Maine’s native bees, especially our solitary bees. We focused particularly on the Blue Orchard bee and the Maine Blueberry bee, both of which are crucial pollinators of many of Maine’s commercial crops, our garden crops and native trees, shrubs and wildflowers. Human-made “bee hotels” can help both of these species thrive. We had fun checking out organic materials that can be used for bee habitat and homemade bee hotels. 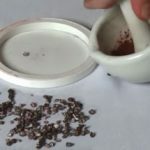 Most people took a bee hotel home and we’ll hope to see pictures later in the season of tunnels sealed up by the female bees after laying her eggs. One of the best all-around reference we found is probably this one: University of Maine Cooperative Extension Bulletin # 7153, Understanding Native Bees, the Great Pollinators: Enhancing Their Habitat in Maine. ARTICLE: Here is a great intro to creating and maintaining a bee hotel. I have copies of this handout for you in class. HOMEWORK: Next week Roger Rittmaster, retired endocrinologist and now Maine Master Naturalist, will help us learn to use photographs of insects to ID the insects. He will bring flash drives with Maine insect photos if you don’t have any. You can practice using insects you already think you have identified. You will also benefit from bookmarking GoBotany, so you can be more confident of host plants. You do not need to establish an account at GoBotany to use it. PREPARATION: Please bring your laptop or iPad to class next week if you have one. If you don’t, you can buddy up with someone who does. You will get online using a guest password at UMA. Bring a surge protector if you think you’ll need to power up. 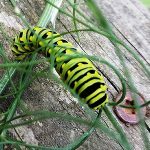 If you have any photos of insects, find a way to make them easily accessible to you during class by creating a file, an album, or whatever works for you. Before next Tuesday please create an account for yourself at at least one of the following. Roger would love it if you would create an account at all 3. Well, Week 5 was pretty different than other weeks! We spent most of our time sharing laptops with each other and following Maine Master Naturalist Roger Rittmaster through cool sites on the web. Each of these sites can be used to identify insects using your own pictures, or you can learn from the postings of others. The “iNaturalist” site can be used to ID many other life forms as well. You can use your PC at home, your laptop, and/or you can download apps for your iPad or phone. I was glad to hear folks saying they’d be sharing these sites with grandchildren, friends and other nature lovers. That’s the spirit! I’m sure none of us caught all of the options with each website but we can help each other as we explore and experiment. Also Roger kindly agreed to help folks with questions, so I have included him on this email. Thanks again Roger! This coming Tuesday we will meet at 10:15 in the lobby of the retail store at Longfellow’s Greenhouse. The address is 81 Puddledock Road, Manchester, Maine. We will hear about Longfellow’s approach to Integrated Pest Management as we walk through the greenhouses. We will also hear about their approach to providing pollinator friendly and native plants, chosen to provide continuous bloom across the seasons. Unfortunately it will be a little early to see their pollinator-friendly plants grouped together outside (they will be later in the season), and most of the native wildflowers will arrive from their growing nursery a bit later, but we will see some of them and get a copy of their plant list which has all kinds of useful info about each plant in it. Preparation: Bring your questions and ideas about IPM and gardening. Dave and Sue, who will be helping us, love to hear your questions! Plan to be standing and walking most of the time. If you need to sit at times, let me know. I can arrange for some folding seating. Bring any new insect stories. We may have some time to share. I suggested we have lunch together at a place like the Old Post Office Cafe in Mount Vernon. Then I found out I may have to go to the Legislature for a hearing on 4 Browntail Moth bills at 1:00. But you can still go out to lunch! I encourage folks to work out carpooling from Longfellow’s if you’ll be coming back that way. If I can come too, I definitely will! This Tuesday’s class (April 23) we meet at 10:15 in the lobby of the retail store at Longfellow’s Greenhouse (81 Puddledock Road, Manchester, Maine). After Longfellow’s, we will have lunch together (possibly at The Old Post Office Cafe in Mount Vernon). We can carpool from Longfellow’s. 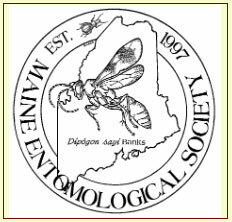 Bumble Bees: Kalyn Bickerman-Martens, PhD candidate in etymology at UMO will share what she has learned about Bumble Bee Health; Impact of Pesticides; Maine Bumble Bee Atlas (citizen science). This may be the week we make “bee hotels” for native bees. 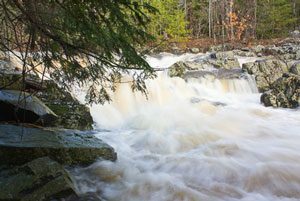 Reynolds Forest, Sidney – David Courtemanch and Tom Danielson, biologists, will help us explore aquatic insect along Goff Brook. Bring binoculars and boots. 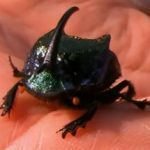 A New York Times report on the evidence and implications of the decline of insects all around us. This team of Maine Master Naturalists, along with guest speakers, has offered numerous Senior College classes in the past, from survey courses to deep dives into trees and birds. Everyone on the team has completed the rigorous year-long Maine Master Naturalist program. We offer these courses to share our excitement about the natural world. And yes, we know some of you have clamored for a Birds II class, but bear with us. We realized many bird species in Maine rely on insects for their existence, either directly as food, or indirectly through plant seeds and fruits arising from insect pollination, or from relying on food animals that ate insects. We are excited to explore the amazing world of insects with you!